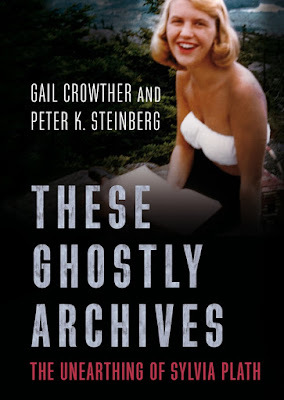 In August, after submitting the manuscript for her third book on Sylvia Plath, Gail Crowther took some time to answer some questions about her recently published book The Haunted Reader and Sylvia Plath (10 February 2017), her second on the poet. 1. Pretend, please, that this was Twitter... 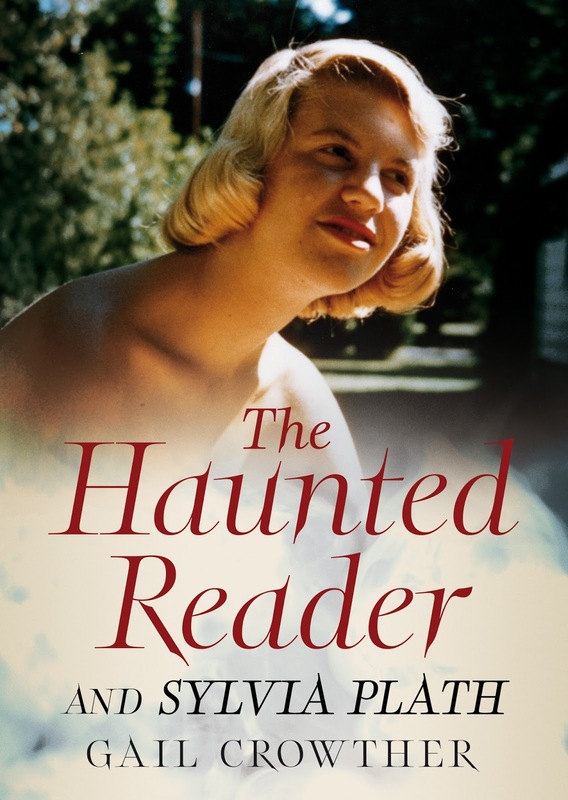 In 140 characters or less how would you describe your new book The Haunted Reader and Sylvia Plath? 2. Now, feel free to expand a little bit regarding its about-ness! 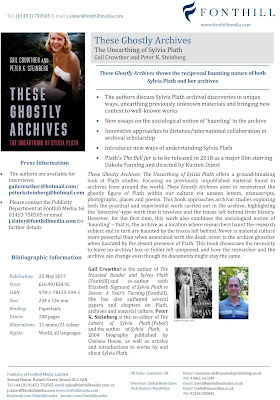 The book is a really an exploration of what Plath means to some of her readers and why she plays such an important role in their lives. It's divided into five chapters. Chapter 1 begins with stories about the first time readers encountered Plath and then the book moves through the concept of doubling, Plath pilgrimages, Plath photographs, and Plath's objects. The book is framed by Freudian notions of identification, narcissism, mourning and melancholia, while also making use of Otto Rank's idea of the double. 3. How did you go about modifying your PhD thesis for publication? What were some of the challenges and what might have been kind of a relief to shed? The first major challenge was cutting the word count from 110,000 down to 70,000. Luckily it was fairly obvious what needed to go which was mostly the extended academic stuff (technical terminology) you have to do in order to get a PhD, such as massive lit reviews etc., so that was a bit of relief, to be truthful. I also changed the structure slightly, cutting out my own stories and incorporating them in a different way. Then I changed most respondents' names to protect their identities and removed any photographs that would have compromised their anonymity. I was at the time, and remain, concerned about my respondents and how they will be received. I feel protective of them and I feel deeply honoured that they trusted me to share their stories, so I really hope that they are read in this spirit. 4. In the original research, how did you find your respondents? I began by reading the ten years of archived forum entries that the wonderful Elaine Connell had maintained and I made a note of the main contributors and their contact details. I also did some general online research about people who seemed to be involved with Plath studies generally. Then I sent out a batch of emails outlining my research and asking if people would be interested in taking part. I also met further respondents at the 2007 Sylvia Plath Symposium at Oxford University. 5. Following on this, as you sought out participants, were there people who declined to participate? And, were there any stories that you found didn't fit in to your research? Yes. Some people just didn't answer my email or others replied saying they were too busy to participate. Others had certain conditions, which seemed fair enough to me. I was a complete stranger and they were about to tell me some really personal stuff. Amazingly, the stories had a really interlinked set of themes. I did not choose my chapters, the data from respondents chose them. The convergence and similarity was uncanny – especially since I had not set any questions at all. I just asked for open, free, creative bits of autobiography outlining their attachments to Plath. There was sadly too much data to include in both the thesis and the book, so the stories are edited stories. Perhaps one day the full versions can be made available without my fiddling about with them being an issue. 6. On your website your write "Developing and extending Rose's notion of haunting I am increasingly interested in place and spaces haunted by Plath and ways in which this impacts on readers who not only form close attachments to Plath, but equally carry out secular pilgrimages to places in which Plath lived and wrote." Do you see The Haunted Reader and Sylvia Plath as a compliment to Jacqueline Rose's The Haunting of Sylvia Plath or as building on it? I love Rose's book. I read it when I was a teenager and it really captured, and continues to capture, my imagination. What I hope The Haunted Reader does is to continue Rose's story. Once a cultural figure haunts our imaginations – what happens? What do people do with this figure and how does it impact on their lives? Janet Badia's wonderful book Sylvia Plath and The Mythology of Women Readers was also really important – the brilliant way she explores the kind of narratives that exist about readers. What I then wanted to do was personalise it and collect actual in-depth reader life-stories. The book wouldn't have existed without my respondents so my main aim is that readers of the book enjoy reading these stories and perhaps while they do reflect upon what Plath means to them. Thank you, Gail, for taking the time to answer these questions! Gail Crowther, The Haunted Reader and Sylvia Plath (Fonthill, 2017). Available in paperback from Amazon.co.uk and other online retailers. 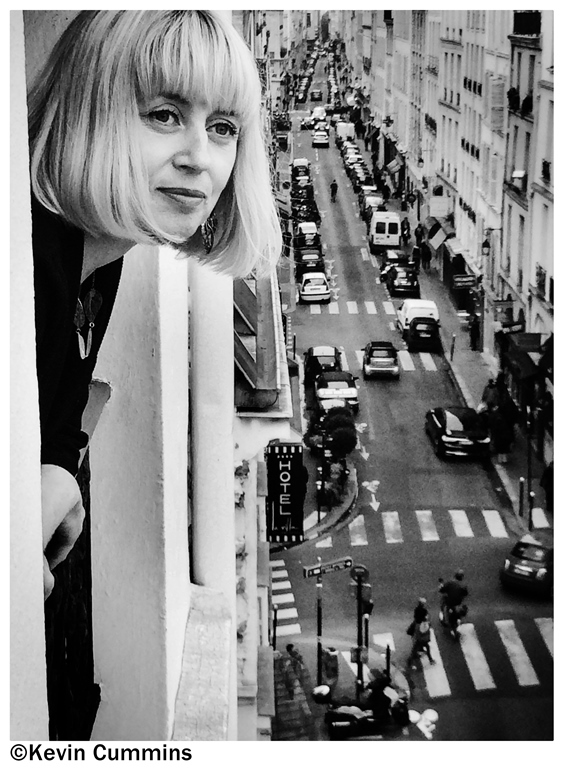 Crowther is also the co-author of two books about Sylvia Plath. 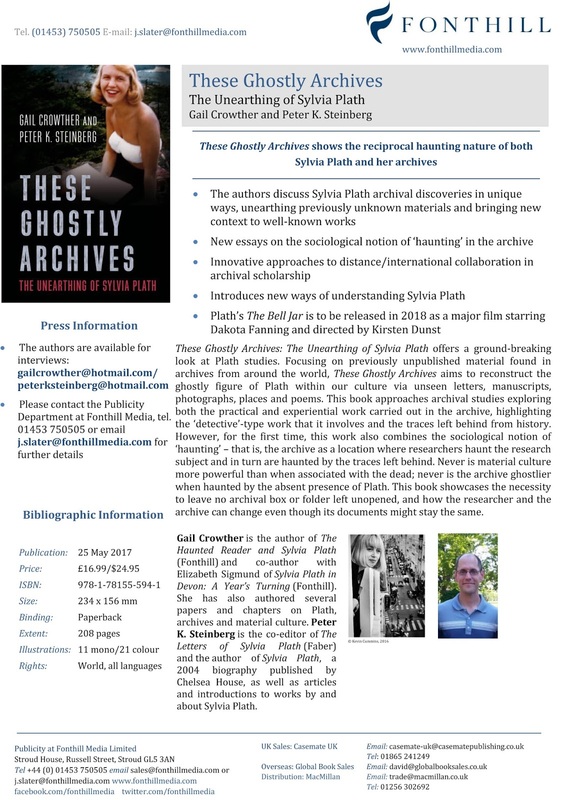 With Elizabeth Sigmund, Sylvia Plath in Devon: A Year's Turning and, with Peter K. Steinberg, the forthcoming These Ghostly Archives: The Unearthing of Sylvia Plath. All links accessed 8 August 2016 and 15 February 2017. At the time of Sylvia Plath's death on 11 February 1963, a vast amount of her papers --the majority perhaps-- were in her mother's house at 26 Elmwood Road in Wellesley. These papers now form Plath mss II at the Lilly Library, Indiana University at Bloomington. Aurelia Plath would later gave nearly 250 items to Smith College in December 1983. Tucked away in the back of Plath mss II, Box 15, Publications Scrapbook, are four folders which hold 109 items that include, per the finding aid, "80 envelopes and folders with notes by Aurelia S. Plath". When I was at the Lilly Library in March of 2015, I luxuriated in working with these folders and was able to make lots of notes on these notes. These envelopes and folders indicate how the collection (poems, letters, etc.) was housed before the Lilly Library took ownership in 1977. There are not just notes by Aurelia Plath, there are also some of Plath's own papers. Among these are typed authorial notes for two unnamed poems that were part of a "Setting Assignment" and an acknowledgement receipt of her manuscript Two Lovers and a Beachcomber from the Yale University Press (dated 21 February 1957). And a host of other really interesting documents that, unfortunately, I did not get the chance to work with in full. I suppose some stones initially have to be left un-turned, and it makes a return visit to the Lilly not only likely, but essential. There are five pieces of paper in folder 67 that catalogs many of Plath's early poems. A four page document records 117 poems (with some duplicates) and an additional sheet lists another 27. For the most part, those little penciled-in numbers sync to these pages. The first set of four pages is headed "Poems Pre 1954"; the other page is titled "Poems -- Sylvia Plath -- some copies". Both appear to have been compiled by a person identified only by her/his initials "M.H.F." and were dated 2 February 1975 and 3 February 1975, respectively. These dates correspond nicely with the period discussed by Judith Kroll in the 2007 Foreword to her incomparable Chapters in a Mythology: The Poetry of Sylvia Plath (see page xxiii, etc.). Here are the poems and their numbers. The first document of 117 items is first. Many poems have check marks next to them (indicated in the list below with "[check]") and I believe this indicates the number of copies. So, no check most likely means one copy. One check means two copies, etc. This is reflected, probably, in the appearance of either a second number or a letter next to the numbers. So, for example, "Doomsday" below has four check marks. This should mean there are typescript copies numbered 11, 11/2, 11/3, and 11/4. In this case, the Lilly does actually hold four different typescripts of "Doomsday". Actually, there are six typescripts of "Doomsday" in box 7a: the aforementioned 11, 11/2, 11/2, and 11/4, as well as a copy numbered 51 and an unnumbered copy. At some point or other, many copies of other poems became separated -- these are the ones you may see now at auction. Poems Pre 1954 2/2/75 M.H.F. 5 – "Suspend This Day"
Poems Pre 1954 3 2/2/75 M.H.F. 72 – "Suspend This Day"
77 – Comment in "Dialogue en Route". Poems – Sylvia Plath – some copies 2/2/75 M.H.F. Peculiarly, a number of these poems are listed twice with two different numbers. I have not yet totally sorted out what this means -- if a second listing/number means either oversight or possible carelessness on the part of M.H.F. or perhaps another poem with the same title but with different content. In the second list, for example, the poem "Complaint" is numbered 10 and 22; yet the Lilly only has a typescript of the poem with the pencil notation of 10. The typescript for "Complaint", aka 10, is a poem Plath wrote on 6 February 1955 and bears a Lawrence House address in the top right. However, Plath wrote and published another poem called "Complaint" in March 1950 in her high school newspaper, The Bradford so it could be that a typescript of this earlier poem was numbered 22. And a poem like "Winter Words" appears on both lists, number 50 in the first one, and number 19 in the second. And, further some poems have numbers that do not appear on either of these lists, suggesting there was at least a third numbering scheme in the works. An example is Plath's poem "Bereft" which does not feature on these lists, but bares the penciled number 24 on the multiple copies held by the Lilly: 24, 24a, 24c, and a copy with no number. Where is 24b? The numbers on the poems always had baffled me. Am I alone? And finding these lists tucked away as they are opens up some understanding as to Aurelia Plath's organizational processes. It must have been a terrific challenge to be a custodian of these papers and to view them objectively in light of the emotional pain of memories that each one may have carried. 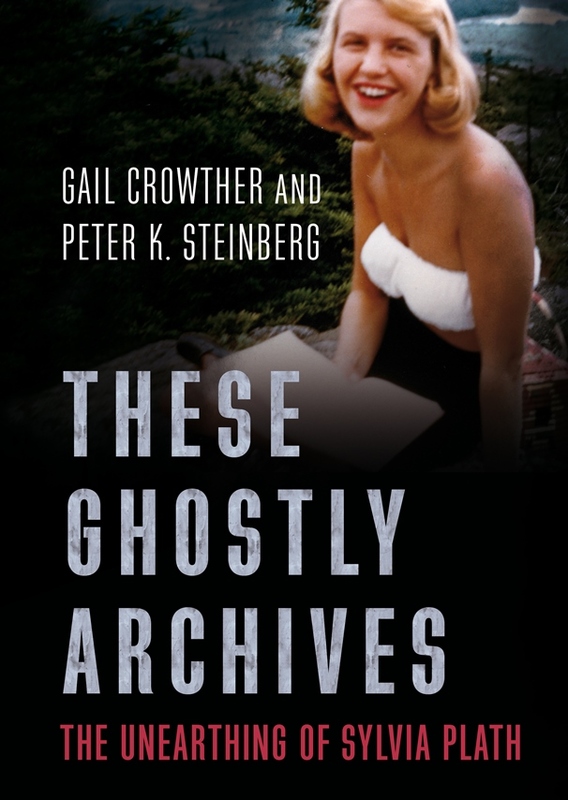 Recently, Gail Crowther (website; twitter) and I submitted our final edits to the publisher Fonthill for our forthcoming book of essays These Ghostly Archives: The Unearthing of Sylvia Plath. Currently, we are reviewing page proofs. The timetable for the rest of the pre-publication process is unknown. But progress is being made which is wonderful! We were excited to learn, also, that listings for the book are now Amazon.co.uk and Amazon.com. The Amazon's seem to say that TGA will be published on 11 May 2017. However, the following press release indicates that the book will be published on 25 May 2017. Not sure at this point in time which is correct. All that does matter is that the book is coming out and that you are going to have your socks knocked off by the essays. Writing this book was such a joy. From the start to (nearly at the) finish, I cannot express how thrilling each essay was to research and discuss and write. We were afforded the opportunity to revise each piece from their original appearances. We feel we greatly improved them (at the expense of some of our archival stories, sadly) for publication. At the same time, though, we were able to bring to your attention brand new archival discoveries and three new, original chapters. All links accessed 25 January 2017.